The late Don Casto, who spent his childhood in Quincy, was a retail visionary. In the mid 1950s, he purchased a tract of land at 33rd and Broadway from the local American Legion and developed The Legion Town and Country Shopping Center. Kresge’s, Grant’s, National and Kroger food stores and Shoppers Fair anchored the new strip mall. Area residents shopped at Little Folks, Western Auto, Top Value Stamps, Key Rexall Drugs, House of Fabrics and Thom McAnn Shoes. A half century later, the names of the retailers have changed and all were put under one roof as the Quincy Mall in 1978, but the wide variety of products and the commitment to the Quincy area remain constant. 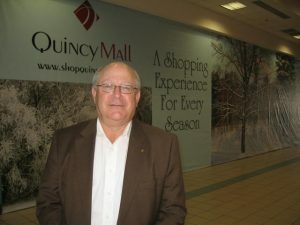 The Quincy Mall was purchased by Cullinan Properties of Peoria, Ill., in 2006, joining other Cullinan-owned shopping complexes in Peoria, Normal and Pekin, IL; McDonough, GA and Burleson, TX. “With such a large portfolio, Cullinan has the ability to bring national chains, traditional brands, local specialty retailers and some of the hottest names in retail to secondary markets like Quincy,” says Boster, noting the Cullinan additions of Starbucks, dressbarn, Petco, T.G.I. Friday’s, Qdoba and others. He is also proud of the success of independently owned shops like Down the Playce, M.J. Burton and Bowtree. Nearly 70 stores are open for business this holiday season at the Quincy Mall, from J.C. Penney, Bergner’s and Sears, which have anchored the Mall since 1978, to companies such as Hickory Farms, Domestics Etc./Celia’s, Bauer Candles and Woodworker Charlie Wiskirken which will be open only for the holiday season. Boster’s staff of nearly 30 full and part-time employees can take some of the credit. “We want to provide great customer service to both our tenants and their customers,” says Boster. “We have flexible leasing options, exciting new tenants and an intense marketing plan. Success breeds success. “This has always been a well-maintained property and a neat place to shop, but recently, we’ve built new sidewalks, installed a handicap accessible entrance on the northeast side of the complex and remodeled the bathrooms. Shoppers will be pleased,” he predicts. “We encourage everyone to make their holiday purchases in Quincy this year,” he says. “Traveling out of town and shopping online may feel cool, but it’s impersonal, it generates sales tax income for another community, and it takes away income from a local employee. 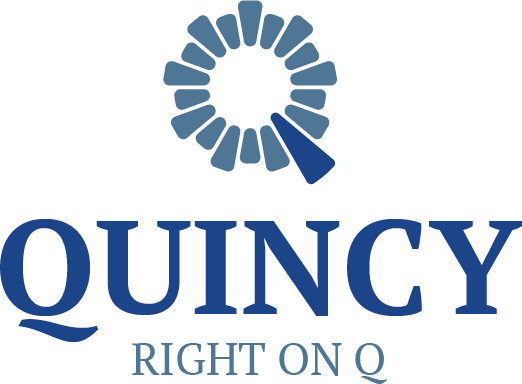 Regular Quincy Mall hours are 10 a.m. to 9 p.m. Monday-Saturday and 12-5 p.m. on Sunday. Boster says some stores will open as early as 3:30 a.m. the Friday after Thanksgiving. 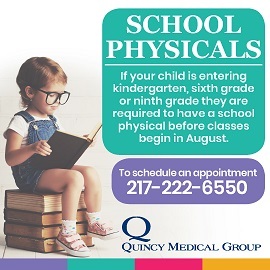 Visit www.shopquincymall.com or call 223-8713 for more information.